Bhai Dooj is also known by the name Bhai Dooj Tikka festival and it is one of the major Hindu festivals which are celebrated with lot of enthusiasm all over India. It is a festival which represents the eternal bond of love and affection between the brothers and sisters. Bhai Dooj is celebrated a day after the Diwali festival, one of the important festivals of the Hindus. 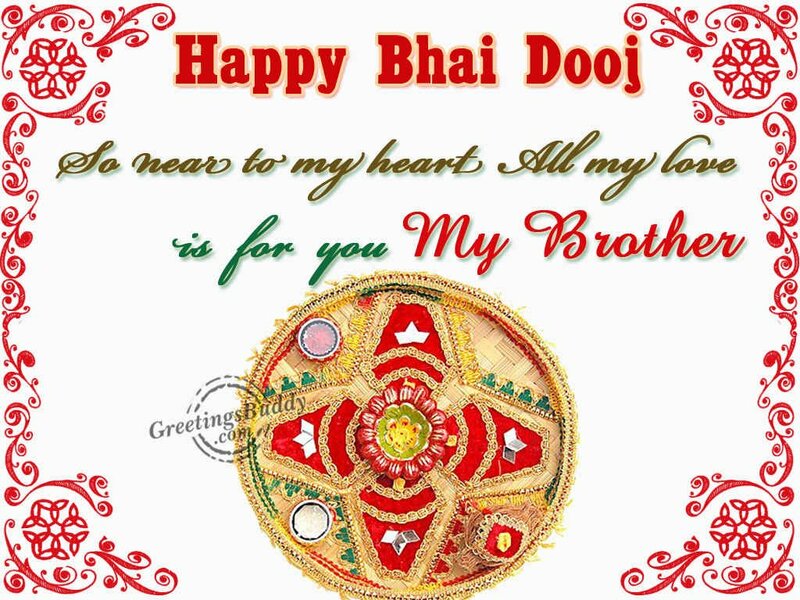 As Diwali is over, the brothers and sisters both eagerly wait for the bhai dooj festival. Traditional sweets are made in the shops and both brothers and sister buy them. The sisters prepare special puja thalis for their brothers. In the traditional celebration of this festival, the brothers visit their sister’s house. The sisters make their brothers sit on asanas and do arati, put tika on their forehead and pray for their long life, their health and happiness. The brothers bless their sisters, offer them gifts in return. The sisters give sweets to their brothers and prepare delicious food for their brothers. Actually during this festival, the entire family enjoys a happy time. 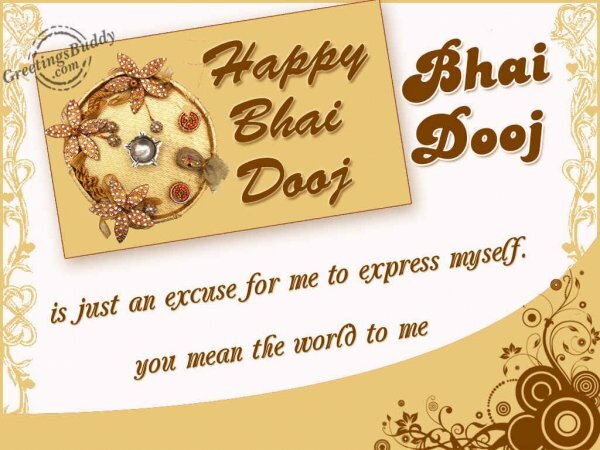 Bhai Dooj is celebrated with special enthusiasm in the north India. In other parts of India, it is known with other names and different rituals are performed. In west Bengal, it is known with the name bhai phota and the sisters observe fast till the rituals are complete. Like any other festival, bhai dooj is a festival to have a family gets together which each of the member enjoys fully.